It’s sweet, bubbly, and oh so refreshing after a long, hot day. A can of Coke or Pepsi is often what many people crave with dinner or for their mid-afternoon sugar rush to get them through the piles of work on their desk. But did you know that your daily soda is actually killing you? Whether you call it soda, pop, coke, or something else entirely, this carbonated killer is just waiting to pounce. In case you’re still not convinced of the dangers of sugary beverages, here are 7 reasons to kick your soda habit today. This dire warning isn’t just to scare you into kicking the habit. Studies have shown that consumption of sugary drinks may lead to an estimated 184,000 deaths each year. When you consider the cost…is it worth it? As if enough hasn’t been said about sugar, it truly is the most devious of all food additives. Over time, the brain begins to crave sugar, and soda is one of the most nefarious sources of a “fix” for many sugar addicts. To put it into perspective, one can of soda contains approximately 10 teaspoons of sugar. That is almost 4 teaspoons above the daily recommended limit. In a single can of soda! So much sugar can wreak havoc on your entire system, leading to spiked blood sugar and increased risk for diabetes. Have you ever wondered why those stubborn pounds just insist on clinging to your waistline? Soda could be the reason the scale just refuses to budge even with your most diligent of efforts. In fact, if you are still drinking soda and attempting to lose weight, you will most likely notice yourself actually putting on more weight. There is no path to a healthy body that involves soda. One 20-year-long study of over 120,000 individuals discovered a significant weight increase over this time, directly related to soda consumption. Why does soda have to be that syrupy caramel color? Is it marketing? Visual appeal? Whatever the case, this caramel coloring serves no other purpose than looks but has been linked to the formation of a carcinogen known as methylimidazole, which has long been recognized as a cancer-causing chemical. Tests performed on numerous soda brands discovered that Pepsi alone could be responsible for thousands of cancer cases across the United States, at it is one of the soft drinks with the highest carcinogen levels. Though you may feel like nothing more than an ice cold glass of Coke when you’re thirsty, soda does absolutely nothing to quench your thirst. 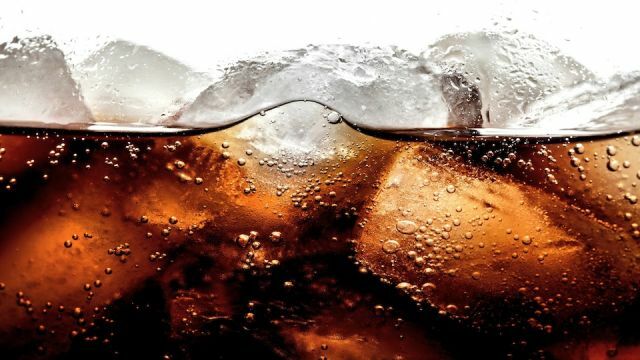 Because the caffeine contained in most sugary beverages is a diuretic, along with high sodium and sugar levels, soda is usually responsible for causing dehydration, not curing it. Calcium is an essential mineral for healthy bones. However, the phosphoric acid present in soda can decrease your body’s natural ability to absorb calcium, causing osteoporosis and cavities in teeth. Plus, this acidity can begin to eat away at the teeth, making them soft and causing the enamel to erode. Though they are marketed as the “healthy alternative” to their sugar-laden counterparts, diet drinks are even more dangerous than traditional soda. Aspartame, which is used as a substitute for sugar in diet soda has a laundry list of negative health repercussions associated with it. This includes seizures, brain tumors, and even emotional disorders. Studies have also shown that drinking diet soda places you at an increased risk of developing metabolic syndrome which has been linked to belly fat, raised cholesterol, and high blood sugar. Going cold turkey rarely works. Begin by limiting the amount that you allow yourself to drink soda and stop buying it from the store. Eventually, you will find that your body no longer craves it. Replace it. It’s true, only drinking plain water can become boring after a while. Search for healthier alternatives to soda, such as sparkling water with no added sugars or an herbal tea. Of course, this doesn’t mean that you lessen your water intake. Try infusing fruit in your water to increase flavor. Reward yourself. Positive reinforcement is an essential part of breaking any habit. If you go for a week without drinking any soda, purchase a small item that you have been eyeing. Avoid using unhealthy food as a reward as this could become a vicious cycle. Hey Buddy!, I found this information for you: "7 Reasons to Kick your Soda Habit for Good (#4 may shock you)". Here is the website link: https://www.thealternativedaily.com/reasons-kick-soda-habit-good-may-shock-you/. Thank you.